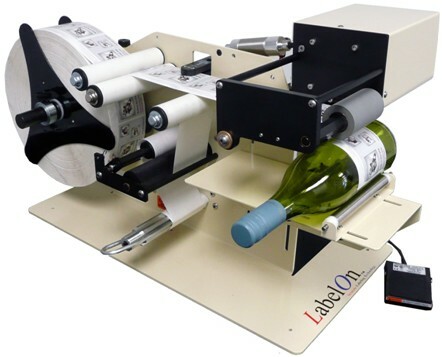 If you have a requirement for Serious and Consistent Production where you need to label 1000 round products a day or more, the LabelOn™ Benchtop Round Bottle Applicator with waste paper rewind is a great solution. This machine can do up to a single full wrap label and can be fitted with the option to place two labels onto the product (front and back). The Product is Driven at the Point of Label Application. This is a far more Positive Action than hoping a label will wrap around a product that is spun by the supporting rollers it sits upon.